Oxfam has been working in Burundi since the 1990s. Our work was initially focused on humanitarian interventions but it has progressively shifted towards reconstruction and development. The situation facing refugees from Syria has been one of the big international stories of the past year but another crisis has been less visible. Tens of thousands of refugees have fled Burundi, a landlocked country in East Africa, into neighbouring Tanzania after election tensions last year led to weeks of violent protests. Michael O’Riordan, Oxfam Ireland’s Humanitarian Coordinator, took a lead role in organising the humanitarian response. Having been involved in many humanitarian programmes before ranging from the Democratic Republic of Congo, the Philippines to South Sudan, Michael was well prepared for his secondment to Tanzania last year. Nevertheless, the huge influx of refugees arriving from Burundi meant it was like “setting up a small town from scratch” at the Nyarugusu camp. Michael first arrived in May last year after approximately 30,000 people crowded onto a rugged beach shore of Kakunga Beach, Lake Tanganyika, on the Burundi and Tanzania border. Many spent up to three weeks here in exposed, cramped conditions with little clean water, food or sanitation. 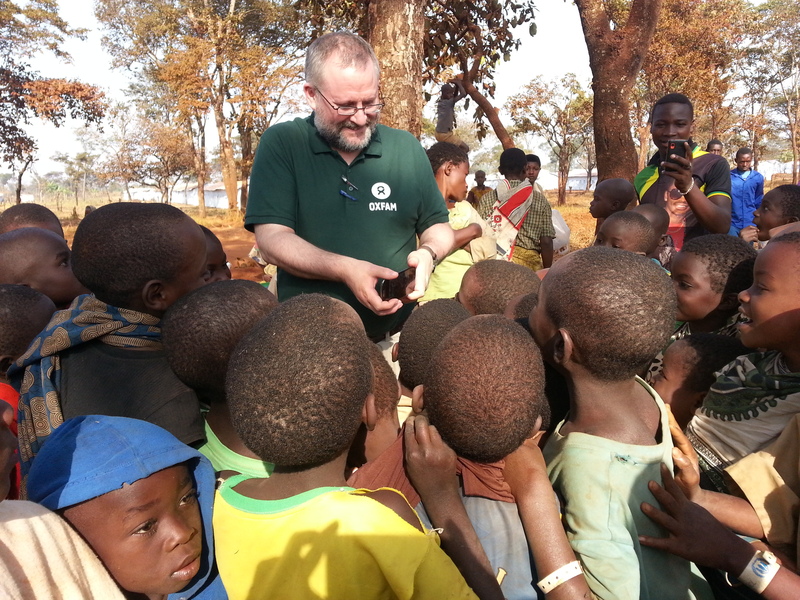 The refugees there were brought to the Nyarugusu camp, where Michael helped set up Oxfam’s emergency programme. Often whatever worldly belongings they brought on their journey had to be left behind to be transported to the camp at a later date, meaning that many refugees arrive in the camp with just the clothes on their back. People are thirsty and tired; many are sick. They’ve gone through so much already just to get to this point, and what they need now is clean water, food and a place to sleep. One of Michael’s main priorities was to expand the existing water and sanitation network within the Nyarugusu camp to allow for the huge numbers arriving. The original water system was built by Oxfam 20 years ago and was designed to be used by 50,000 people but was already being used by 65,000 mainly Congolese refugees. (Nyarugusu was created in the mid-1990s to house people fleeing the Democratic Republic of Congo). The numbers of people now arriving from Burundi since May 2015 has made Nyarugusu the world’s third largest refugee camp today with a population of 173,000 with the vast majority new arrivals (it was once the ninth largest). Having so many people living in such close proximity to each other creates conditions ripe for diseases like cholera and typhoid to spread. Access to clean running water, a toilet and a shower is vital. Above: Michael O'Riordan shares a moment of laughter with refugee children in Tanzania. The Tanzania Water and Environment Sanitation (TWESA), a local NGO set up by Oxfam, partnered up with Oxfam in dealing with the crisis. Michael describes how TWESA’s local knowledge of the area meant they had the capacity to respond effectively to the crisis. There was also a reunion of old friends, as many of the Oxfam and TWESA staff had previously worked together before. 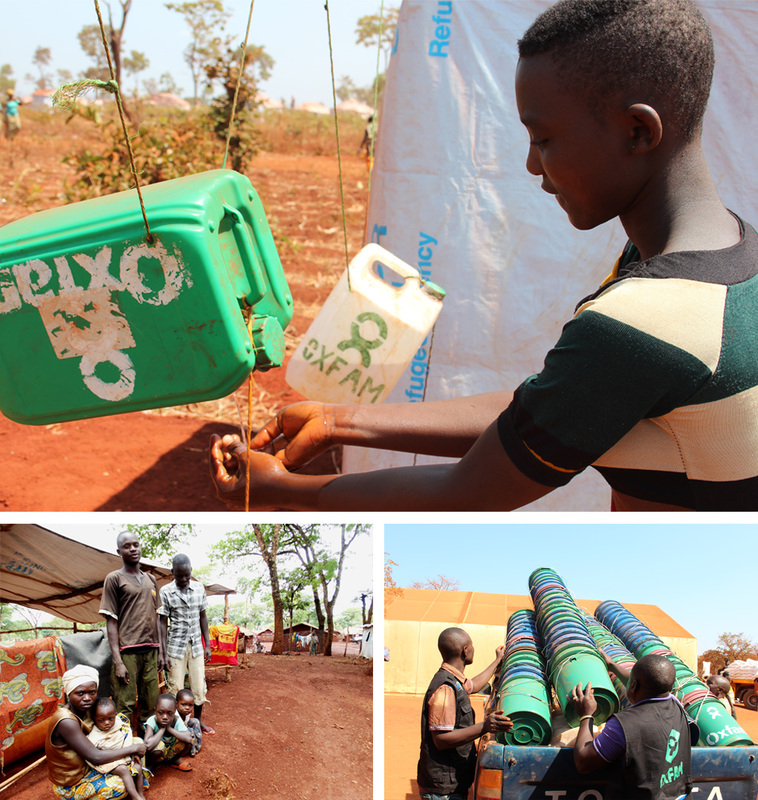 Clockwise from top: Boy using Oxfam water station for hygiene at Tanzanian refugee camp. Oxfam workers prepare water supplies at Tanzanian refugee camp. 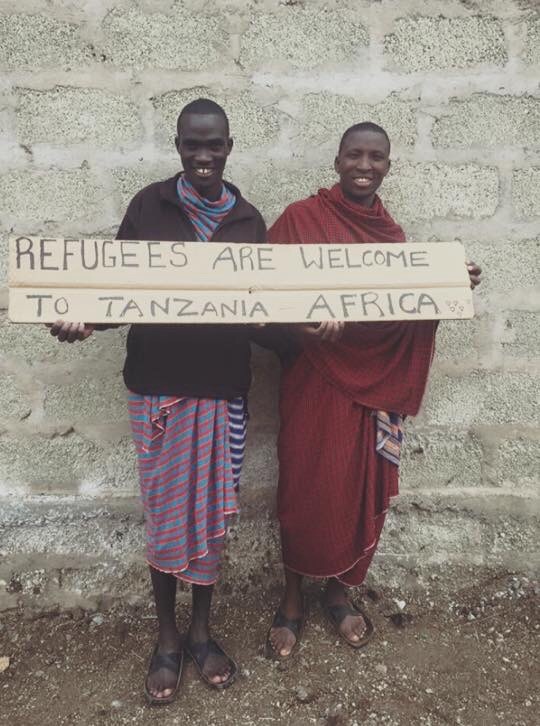 Refugees in Tanzania. Along with improving water and sanitation systems and providing basic hygiene items like soap, toothpaste and sanitary towels, Michael observed a need for something else basic but equally vital – buckets, cooking pots and kitchen utensils for people to carry, prepare and eat the food being distributed to them, something which Oxfam has since distributed. People were using any container they could find to collect the nutritious porridge-like food that was being distributed, and Michael watched as a man, who had queued for hours, finished what he had to eat and walked down the length of the queue to pass his precious container onto the first person who had none. “That generosity, even in their hardship, these people were willing to share with each other to make sure that they could each get food really struck me. I met that man again several weeks later, and he was able to take me to where he was staying now… he had set up a little barber business using a razor powered by solar energy. In so far as you can be in that environment, he was trying to make his life normal again. This work is made possible by our supporters. Regular donations allow us to be first and fast when emergencies strike. Please consider giving a monthly gift.